By Anonymous, I have watched a handful of 80's movies generated towards a teen audience. 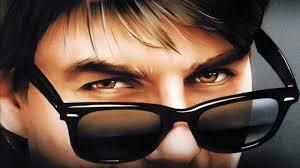 Personally, this is my favorite film of all of the 80’s movies. Before vampires sparkle and society was put between the “arduous” choice of choosing Edward or Jacob, vampires ran the streets slyly and fiercely— never to be messed with. 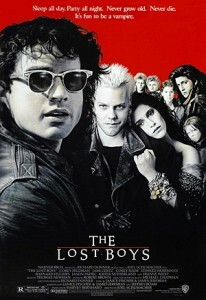 If that isn’t enough, consider the fact that the golden actor, Corey Feldman, played a role in this movie. Two Corey’s are always better than one, so this movie just gets better when Corey Haim is introduced as one of the main characters who, along with his brother, come to realize the streets of Santa Carla are infested with vampires. Where is Ferris Bueller? Well, I heard “He's sick. My best friend's sister's boyfriend's brother's girlfriend heard from this guy who knows this kid who's going with the girl who saw Ferris pass out at 31 Flavors last night. 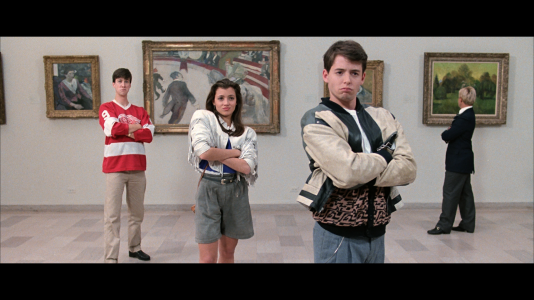 I guess it's pretty serious.” It’s definitely serious, thats why we need to save Ferris Bueller. In this movie he is accompanied by his girlfriend and best friend on the most epic “senior ditch day” ever. The three take on the day by exploring and having fun with some slight bumps in the road, but that doesn’t stop any of the fun. The Breakfast Club is probably the most Iconic teen movie of the 80’s. Maybe that is because the setting is school detention place, or maybe it is because of how it portrays quite a few things accurately. It includes those deep moments, the parts where everyone dances, or even when the guy gets the girl. The Breakfast Club explains its complexity simply by giving some memorable quotes to live by and explaining the teenage mind and actions. It stars the cast that never wants to be forgotten— Molly Ringwald, Anthony Michael Hall, and many more. 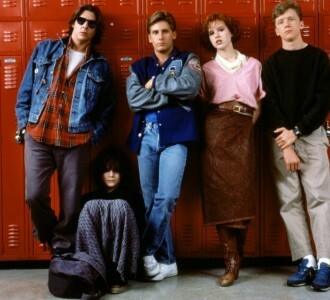 It is probably the best John Hughes movie. Have you seen the modern 16 Wishes movie with Debby Ryan? Before watching Sixteen Candles, I had thought it would be exactly like 16 Wishes, but with old actors. I was very wrong. 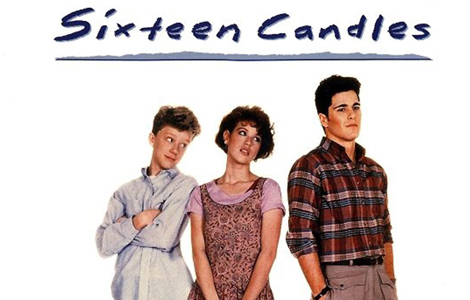 Sixteen Candles is a funny movie that is in no way like the modern Disney movie that it sounds like. It follows Samantha Baker, portrayed by Molly Ringwald, on her sixteenth birthday. When practically no one remembers her birthday, she thinks it may just be the worst. This movie doesn’t have the sweet sixteen we all hear about, but it does have the sweetness of a perfect 80’s movie. A love story that has all of the rough edges every other movie may have with a boxer, a high school beauty, and love that can only be returned with a pen, need I say more? 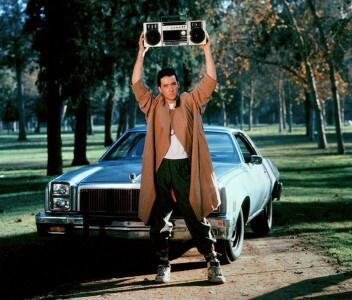 Say Anything is a wonderful, romantic 80’s film starring John Cusack and Ione Skye. This movie has the iconic scene that started it all; that includes standing outside of a girls window with a boombox raised above your head. I promise that it is a movie that you will not regret. So get searching on your netflix and start watching. Pretty in Pink is another love story that is nothing short of amazing. Andie Walsh, played by Molly Ringwald, the famous Duckie, Jon Cryer— also known for his role in Two and a Half Men—, and the dream guy, Blane McDonagh, Played by Andrew McCarthy are all a part of an 80’s movie that has friendship, love, and all of that other cheesy stuff. In this film, Andie walks through high school being herself, which can clearly be seen by her self-made style. She has a best friend named Duckie, who is probably the best character, and a confusing relationship with some high school dream guy. Corey Haim. Corey Feldman. 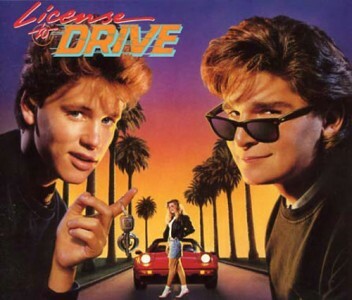 What more is there to say about two incredibly golden teens of the 80’s? Any 80’s movie with Corey Feldman is bound to be a classic. And what is better than one Corey? Two? The dynamic duo are in another film together driving the streets and looking for fun. Les Anderson is finally at the age that the shining driver’s licence is nothing but idolized. When Les doesn’t pass his driver’s test, his whole teenage experience may be ruined, but he doesn’t let that stop him from having the most amazing adventure with his friends on a long drive. Bill and Ted’s Excellent Adventure is absolutely bodacious, dude! They might not be the brightest star in the galaxy, but they sure know how to rock, not to mention their vocabulary has at least a million different ways of saying Excellent. This is a funny movie that can clearly be defined as stellar for not only being hilarious, but actually teaching you some fine vocabulary words and world history. Whether you’re studying for the SAT, history test, or how to rock an oral report, you can look no further because your procrastination can finally have meaning. Also, there is a second movie to follow your “study-watch” session. Do you think this is just another dancing movie like all of the rest of the 80’s movies? Nope. You are very wrong. Girls Just Want to Have Fun is a movie about two teenage girls who find that they have one thing in common. Dance— they just love it. This movie shows you that you should do what you love despite the belief of others and that having a little fun sometimes can be a good thing. So follow your dreams and keep on dancing to the beat of your own music. Maybe this movie will give you unforgettable life lessons. Really you should say WTF and just binge watch all of the great 80's movies, because there are so many more great films that deserve to be watched and only listing 10 is like getting the tip of the iceberg.